Highlighted with pearl metallic embroidery, a pair of sweet songbirds nestles amongst the lush foliage of this elegant pillow. 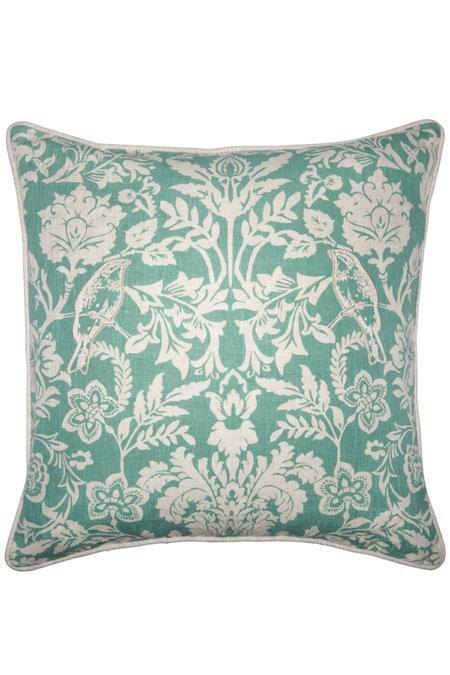 Printed on pure linen in soft shades of aqua green and white, it's framed with ivory cording and comes with a plush 95% feather/5% down insert. The back of the pillow is oatmeal linen. Pearl metallic embroidery highlights a pair of songbirds amongst the foliage. Plush 95% feather/5% down insert included.